8in x 15 1/2in with flap closed. This Rollup for Coloring holds at least 50 colored pencils, neatly. Slide out the pencil you wish to use and slide it back when done. All finished with your coloring or drawing project, simply fold down the flap, roll, snap the elastic around the roll and tuck the Rollup for Coloring away with your coloring books, sketch pads and other art supplies. 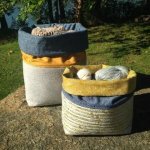 The Rollup for Coloring is the perfect coloring or pencil storage solution or organizer for students or the busy household. 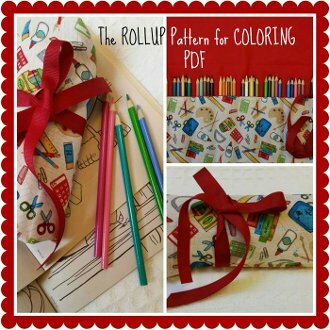 Throw the Rollup for Coloring in a backpack, bag or purse and you're ready to go.